Let's just get this out right up front. 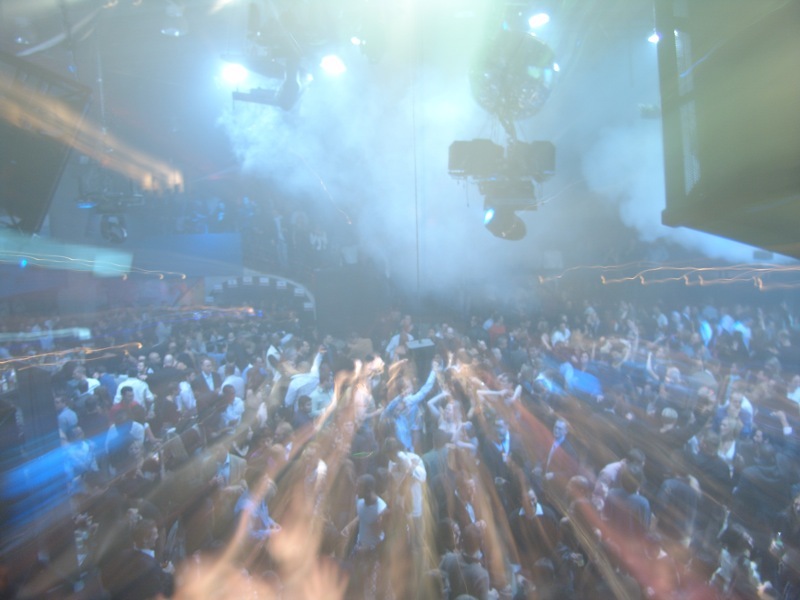 We make every effort to help you vicariously party your way through the night at ad:tech by attending all the parties so you don't have to. However, even for this nighttime wanderer, there were far too many parties on Wednesday night at ad:tech for any single human to attend them all. But we did make it to six and we think that's a pretty good effort for one night. Ready? We kicked the night off with a walk over to Roe Nightclub for the Criteo party. Turns out, Yahoo was having a party there as well but it was starting later. Anyway, Criteo had their party upstairs. We met a few folks from Criteo including the PR folks and the marketing director. All wonderful people. Drinks were free and the snacks were great. ad:tech San Francisco kicked off nicely Monday night. Oh wait. ad:tech kicked off Monday afternoon. Sorry, on this beat, we keep forgetting the conference is really about the content and not the parties but you'll have to forgive us because party coverage is, well, just more fun sometimes. Anyway, the first night of ad:tech kicked off with a cocktail party over at Pereira & O'Dell in their Barrel House bar space around the corner from their offices. It was a nice event with about 200 people showing up. Pereira & O'Dell PR exec Molly Parsley spoke with us for a while and told us the agency's offices used to be in the Barrel House space but they outgrew it and had to move around the corner. But they decided to keep the space to host parties of their clients and for the industry. The agency now has about 80 employees. Next stop was Temple Nightclub where Blumberg Capital and Pillsbury held a three hour event which included all kinds of snacks and delicious passed Hors D'Ovres. At the rate the food went, one could safely conclude the 400 or so attendees considered that their dinner. I know I did. Is it just us or is the ration of men to women in the financial services industry about 90/10? If the male female ratio of the party is any indicator, it certainly seems to hold true. Are you ready? Are you really ready? Are you? Are you ready for three days of intense networking, session viewing, exhibit hall exploration and all night partying? You had better be. Because if you're not, you're going to be left behind, sucking the exhaust of others who plan to hit ad:tech and make the most of it. So we all know there will all kinds of amazing content at the conference. You've read about it here and on the ad:tech website. There are many fine keynote speakers, panelists and exhibitors for you to check out over the three days of the conference. But let's not forget the most important aspect of ad:tech. OK, maybe it's not the most important part but it's the part I'm in charge of hyping and that's the parties. Hey, somebody's got to do it and, after all, you're going to need to party after 8-10 hours on your feet doing business. Hugh MacLeod, a best-selling author and the artist behind Gaping Void, has created a custom, limited-edition print to benefit Lemonade: Detroit, a documentary about the revival of the city. Boston-based filmmaker Erik Proulx has funded the making of the film entirely by donations from supporters of the Detroit story. 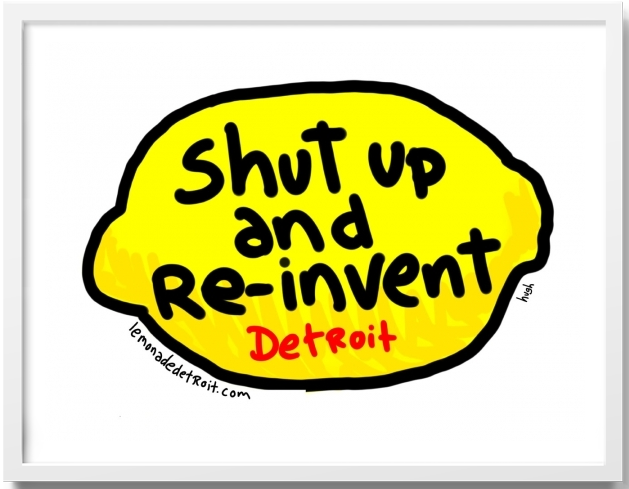 Proceeds from the Gaping Void "Shut up and reinvent Detroit" prints will go directly toward production of Lemonade: Detroit. Each print is signed and numbered by Hugh and artwork is available in two sizes: 15x18 and 24x30. Both small and large prints are available for purchase online in the Gaping Void Gallery. The Pivot Conference which aims to help brand marketers and their agencies bridge the gap between themselves and the "social consumer" has announced its initial speaker line-up for its next conference October 17-18 at the Crowne Plaza Hotel in New York. Hosted by Brian Solis, Pivot will examine brand's and marketer's increased reliance on the social consumer for marketing success. The 2011 speaker line-up includes industry thinkers and top executives from Fortune 500 brands, innovative agencies who will share insights and trends in effective marketing and business and lowly bloggers like Steve Hall who publishes the industry rag Adrants. The Festival of Media, an event that focuses on media creativity and innovation will take place in Montreux Switzerland May 8-10. Speakers at the conference will include Facebook VP of Global Sales Carolyn Everson, Deutsche Telekom Head of International Media Management Gerhard Louw, MediaCom Worldwide CEO Stephen Allan, Nestle Global Head of Digital & Social Media Pete Blackshaw, Starcom MediaVest Group CEO Laura Desmond and many others which you can check out here. Of course, none of that really matters right? A conference is a conference, right? But this conference is in Switzerland? Have you ever been to Switzerland? No, didn't think so. Now you have your reason to check this conference out. And no, they didn't pay us to say that. But they did pay us to advertise on the site. Just want to be clear here for all your transparency freaks. 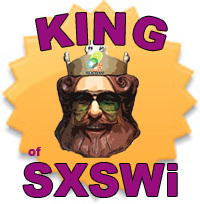 If you attended SXSW this year, you know it was very different than prior years. How was it different? 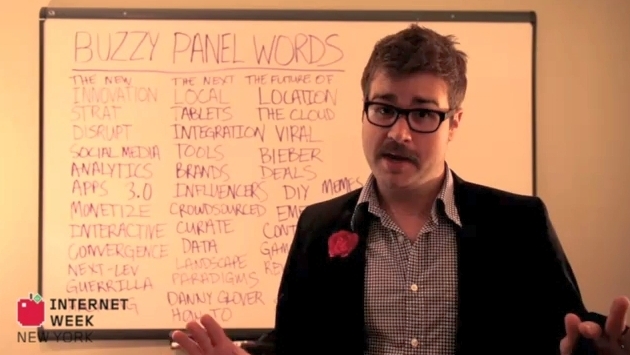 Marketers and agencies finally gave the conference credence and attended in droves. BlogAds did a bit of follow up analysis and concluded agency presence at SXSW has increased 1,000 percent. Of the 100 or so agencies BlogAds found in attendance at SXSW this year, Leo Burnett tops the list with 56 (updated to 65) people at the conference. Rounding out the top 10 are Saatchi, Digitas, JWT, SapientNitro, BBDO, HUGE, Ogilvy, DraftFCB and R/GA. The list also examines attendance in 2009 and draws comparison. The numbers are stunning. Two years ago, there were literally no agency personnel at the conference. This year, attendance was in the hundreds. So here we go again with another brand caught lying. Or so it would seem. Samsung debuted a new video at CTIA Wireless touting its new 10.1" Galaxy Tab. The video includes "true life stories of Galaxy Tab users." But just how true can these stories be if they are delivered by actors. That's what Technologizer's Harry McCracken discovered when he viewed the video and did a little research about the "real" people in the video who shared their "true life stories." McCracken discovered two of the supposedly real Galaxy Tab users are actors. In the video, Joan Hess is passed off as being a freelance travel writer. In reality, she's a New York-based actress. CEO Joseph Kolinski is actually New York actor Joseph Kolinski. A third character in the video, Karl Shefelman, plays the role of a filmmaker. In real life, Shefelman is, indeed, a filmmaker who - surprise, surprise - has done work for Samsung. If you're heading to ad:tech San Francisco in April, good for you. It's a great conference. Good content. Good networking. And plenty of exhibitors to visit. But let's not forget about a very important component of ad:tech...or any conference for that matter...the parties. The list is growing so it's time to share. On Monday night April 11, between the first and second day of the three day conference, Moss Networks will host its VIP Mix + Mingle event at Supper Club beginning at 10PM. On Tuesday night, things get a bit busier. Criteo will host a gathering at Roe from 4PM to 7PM. 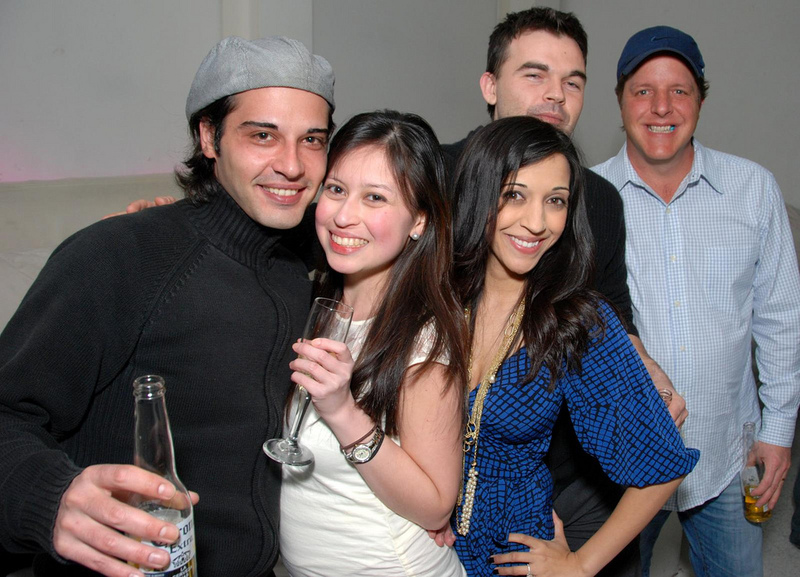 Advertise.com will hold its tenth anniversary party at Ruby Skye from 9PM to 1AM. Also beginning at 9PM, FriendFinder Networks will present The Marketers Ball at 1015 Folsom. There are several other invite only parties occurring over the three day event which we'll leave unpublished. Though we'll continue to add to the list ans things are announced. Make sure you bookmark our continuously updated party calendar so you don't miss anything.